in the preferences of PF I can select which terminal I want to use. Selecting iTerm or Terminal leads to a loss of functionality. Lets say the current directory in the PF pane is /Applications and I select in the context menu "Open in Terminal" (I use the German version, may be it’s a different string in the English version). I would consider this as a annoying bug. I have just tested this function. With iterm as my terminal it worked the way it should. In my case its not working - see my first comment. 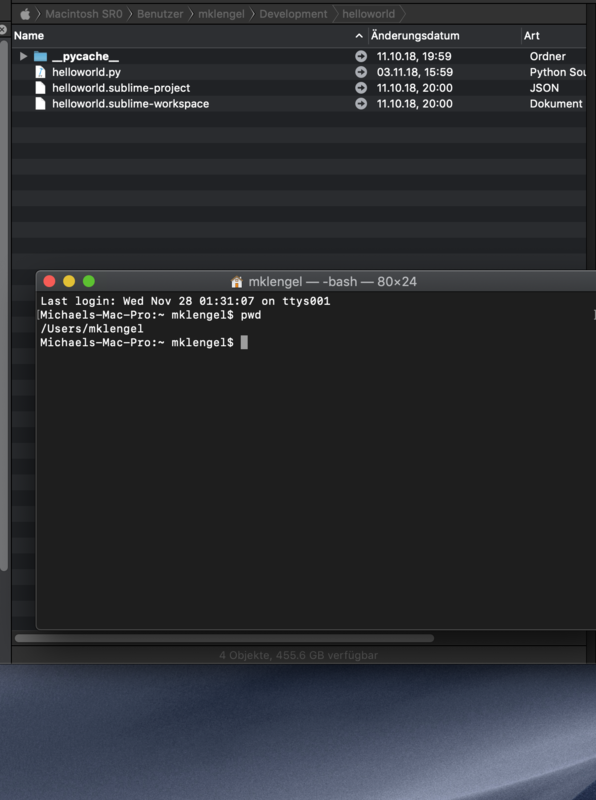 Here are some screenshots, one with Pathfinder as Terminal, one with Terminal from Apple as Terminal. 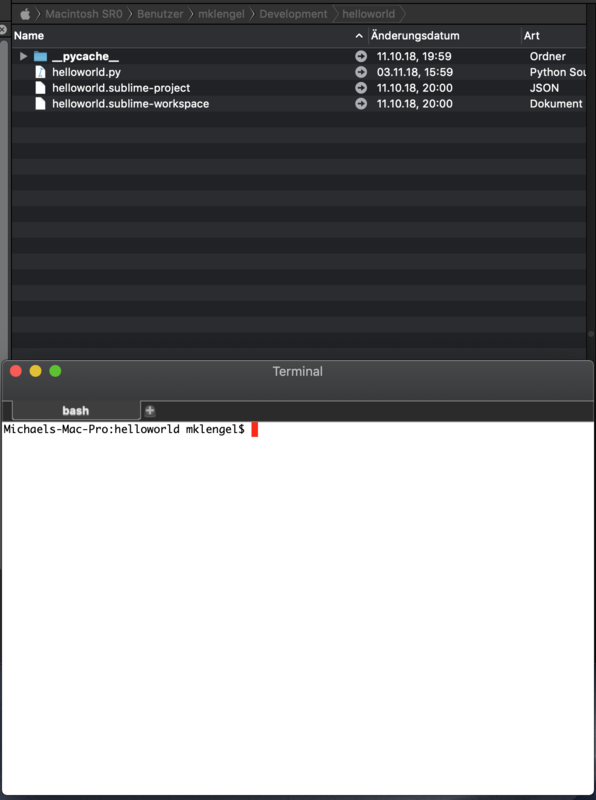 PF terminal works, Apple Terminal (and iTerm2) doesn’t. Path Finder Support Team closed this discussion on 28 Nov, 2018 09:17 AM. I have the same problem; when I action "open in terminal" (either from toolbar or contextual menu), iterm (or Terminal) gets focus, but as it was, i.e., no new tab is open and no cd to the current directory in path finder is done. 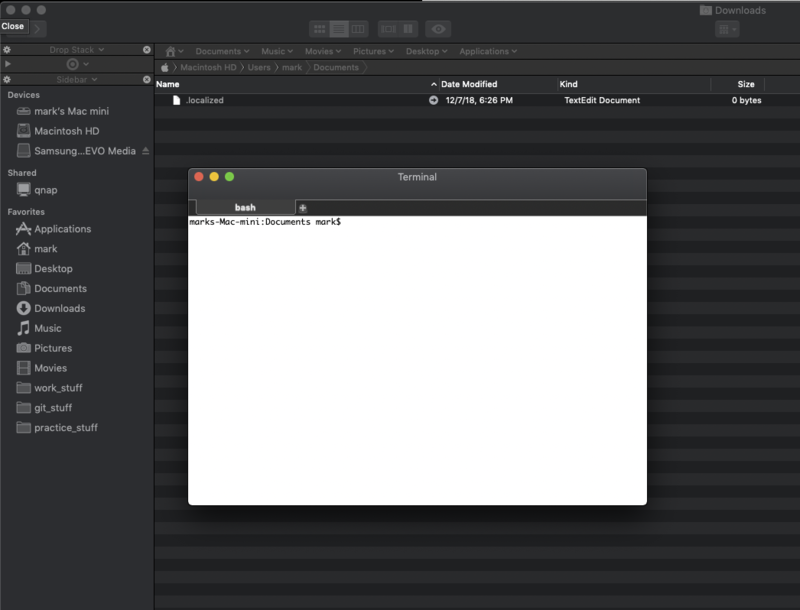 pls refer following page, may be required NSAppleEventsUsageDescription of mojave is missing? If you use AppleEvents in a helper app that's contained in your app's bundle, macOS may expect and use the value for the NSAppleEventsUsageDescription key in the app's Info.plist, not the helper app's Info.plist. Apps can only provide one usage description. It is not possible to provide different usage descriptions for every target app. I still hope we'll get that capability at some point in the future. Path Finder Support Team closed this discussion on 04 Dec, 2018 03:47 PM. You can see the correct path in the terminal flash before resetting back to "home". Please fix this right away. Path Finder Support Team closed this discussion on 13 Dec, 2018 12:43 PM. PF 8.3.7: no improvement, the same problem in the new version of PF. Path Finder Support Team closed this discussion on 21 Dec, 2018 04:05 PM. Path Finder Support Team closed this discussion on 04 Jan, 2019 10:10 AM. terminal and iterm only ever opens in the HOME folder; only PF works as expected. Path Finder Support Team closed this discussion on 05 Jan, 2019 08:19 AM. Same problem here, even after update to version 8.3.8 (1923). Path Finder Support Team closed this discussion on 17 Jan, 2019 07:55 PM. Path Finder Support Team closed this discussion on 03 Feb, 2019 01:46 PM. Path Finder Support Team closed this discussion on 05 Feb, 2019 04:35 PM. I really don't want to blame anyone but PF is full of bugs. I'm working with Network Attached Storage (QNAP) and PF is not able to do file management without problems. I don't use PF because of these problems and wait for the bug fixing. On the other side I have zero problems with Finder, so the problem is clearly PF. Path Finder Support Team closed this discussion on 06 Feb, 2019 01:12 PM. with PF 8.3.9 it works now. > with PF 8.3.9 it works now.